These are all my posts about books that have exceptionally nice covers or particularly fancy editions that I have found. I received this book as part of a work Kris Kringle. As Christmas was drawing near, I thought it was just the time to read it (even if this review is a little belated). Proceeds from sales go towards cancer research and none of the authors were paid, so it was definitely a book bought for a good cause. “Dear Santa” edited by Samuel Johnson OAM and illustrated by Shaun Tan is a collection of letters by many well-known Australians addressed, of course, to Santa. With the likes of Leigh Sales, Helen Garner, Deborah Mailman, Missy Higgins and Shaun Micallef, each of the 68 contributors revisits the Santa of their childhoods through the eyes of an adult. Some letters are long, some are succinct, some are cynical, some are hopeful, some are downright desperate. Many seek the basics of sleep or the simplicity of sweets. Many call for bigger gifts like world peace, a treaty and relief from the drought. This is a lovely little book that would make a brilliant Christmas coffee table book. Although ostensibly about Santa, it takes thoughts from a broad selection of Australians on the state of the country, where we’ve come from and where we are heading. Definitely aimed at an older audience, there are plenty of witticisms and astute observations peppered throughout. This book probably lends itself more to flicking through or picking up and reading at random than it does reading from cover to cover. I sat down one evening with a gin and tonic and dark chocolate and did exactly that, and after a while the letters start to blur together a little (it wasn’t the gin, I swear). Nevertheless, a lovely seasonal book for an excellent cause. Keep an eye out for next Christmas. Although a classic, this book has recently been generating a lot of discussion after being adapted into a film. It is a book have never read, and I came across this beautiful edition with gold tinted edges. 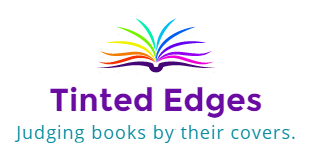 Shockingly, despite the name of this blog, it has been over a year since I’ve reviewed a book with tinted edges – something that I shall have to remedy, because I certainly haven’t stopped reading them. 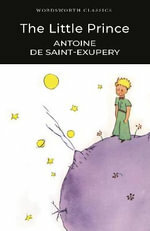 “The Little Prince” by Antoine de Saint-Exupéry and adapted from the French by Rosemary Gray (more on that later) is a children’s book about a pilot stranded in a desert. He wakes up to find a little prince requesting him to do a drawing. The pilot, although an adult, appears to have retained a child’s way of thinking and is able to connect with the little prince while he awaits rescue in the desert. Although not very forthcoming in answering questions, as the unlikely pair run out of water, the pilot slowly learns about where the little prince has come from and what he is really looking for. The little prince recounts his adventures leaving behind his beloved flower on his own planet, and meeting strange adults on various tiny planets and learning from their exaggerated behaviours, before he finally arrives on Earth. This is a whimsical and bittersweet story that uses innocence and childlike logic to tackle personal and social issues. On his adventures, the little prince learns about vanity, greed, pointlessness, the value of experience and, finally, love. The reader is left wondering whether the little prince was in fact real, or whether he was something that the imaginative pilot conjured up to help get himself through a time of great hardship. This book lingers particularly on the importance of intangible things, like human connection, and the impermanence of physical things. Sometimes, when you read a book, you can easily see the value in it it, but it doesn’t necessarily mean that you like it. This is one of those books. I cannot with complete certainty say whether it was the story itself that grated on me, or whether it was the translation. I have bakery-level French, so reading the original is beyond me at this stage, but I understand that this book has been subject to many translations and some preferred over others. I decided to have a bit of a look at the original English translation by Katherine Woods and immediately I liked it better. It is far more lyrical and much more in keeping with the style of the time. I think sometimes people are tempted to try to oversimplify language for children’s books, but there has been criticism of publishers “dumbing down” children’s books recently. If kids aren’t exposed to new words, how will they learn them? Anyway, translation issues aside, I think that this story is definitely a bit of a “where we went and what we did there“, though I did feel that there was quite a lot of gentle exploring of social and personal issues like I said before. It is a short book, and though some of the life lessons seem a bit disjointed from one another, it’s an easy enough story to read. While perhaps not my favourite of children’s books, certainly worth a read and definitely worth doing your research when it comes to translations (unless, of course, you can read French). I have been a fan of Joanne Harris‘ work for a very long time, so I was very surprised when I first found out about this book by seeing its gorgeous cover in a bookshop. It’s a beautiful hardcover edition with a black dust jacket and gold detail. This was my first read of 2018 and because I have already lent it out, today’s photograph is a guest photo by my friend Annie. “A Pocketful of Crows” by Joanne Harris is a fantasy novella about a wild girl with nut brown skin, crow wing hair and no name who runs with the deer and flies with the hawk and hunts with the vixen. However, when she meets a young human man and falls desperately in love with him, she allows herself to be tamed and named. Turning her back on her people, the Travelling Folk, she despairs when nature begins to turns its back on her and the man she sacrificed everything for is not as true as he promised. This is truly an exquisite book. Drawing heavily on English and Scottish folklore, this book is dark and light in all the right places. The wild girl is an incredible character and although her ways are both enchanting and feral to the human reader, Harris forces us to empathise with her the entire way. I was absolutely captivated with this book and raced through the vivid prose and illustrations in a day. Another thing I really liked was the signature complex way in which Harris depicts women. The wild girl defies the social conventions of the humans and the Travelling Folk, but is nevertheless bound by the consequences of her actions. I also enjoyed the way Harris explored the tension between fetishisation of the “exotic” and white beauty ideals. There really isn’t much more to say about this book – it really does speak for itself. My only regret is that I didn’t realise it was coming out sooner. People have been recommending this author to me for a long time. One of my reading goals in 2017 was to try to read authors of more diverse backgrounds, including books published in languages other than English, and this one has been on my list for a while. The edition I have is actually part of the Vintage 21 Rainbow set with tinted edges, however because this one is white, strictly speaking the page edges aren’t coloured. Either way, it looks good on my shelf and it was high time I read it. “The Wind-Up Bird Chronicle” by Haruki Murakami is a magic realism novel set in Japan in the 1980s. The story is told from the perspective of Toru Okada, a man who has recently quit his job as a law clerk and who stays at home keeping the house while his wife Kumiko works. When Kumiko asks him to search for their missing cat, named after Kumiko’s brother Naburo Wataya, Okada begins to have strange encounters and telephone calls with some very unusual people. Okada begins to realise that the missing cat is the least of his problems. 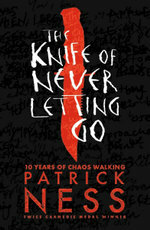 There is so much going on in this book and it’s quite lengthy, so I won’t go into too much more detail about the plot. It is also a translated novel, with the English by Jay Rubin, so events aside, my review will necessarily have to be based on Rubin’s interpretation. Anyway, first of all, this is a fascinating book. Okada is quite a subversive protagonist whose passive and domestic ways are almost a rebellion against the expectation of both the reader and those around him. Despite the criticism he receives from others in the novel, I found him to be a refreshing character. Like a kind of magnet, people are drawn to him and compelled to tell him their life stories and in listening, he begins to draw out themes and parallels that apply to his own problems. This is a story that is very rich in motifs and imagery. There is quite a large cast of characters who each take turns telling bits and pieces of their own stories, and it is a very complex novel. It becomes increasingly complex towards the end as the supernatural elements begin to become more prominent although Murakami manages to maintain a reasonable level of coherence throughout. I found that this book had quite a Roald Dahl-esque tone about it, no doubt due to the translator’s own style, with lots “terrific” thrown about that ultimately I felt suited the story. Writing this review is tricky because while it is a complex, compelling story – is that enough for it to be a good book? There were quite a few times where I felt like there was a little too much crammed into this book, and some of the delicacy and subtlety of the earlier chapters was lost towards the middle – especially Lieutenant Mamiya’s recollections of his involvement in the Japanese occupation of Manchukuo in World War II. It is quite a long book, and there a lot of strands of story to keep abreast of as it progresses – some of which, like Creta Kano’s, seem to fizzle out without resolution. An incredibly intricate story with a myriad of characters, it was at times a difficult read but has definitely left me wanting to read more of Murakami’s work. I received an ARC of this book courtesy of Harry Hartog Woden. It has one of those cool die cut designs where you can see an image through the “window” of the front cover, although this was not used in the final design of the book. As this was not my first George Saunders book, I gave it to my Dad to read first because I knew he enjoyed Saunders’ short stories. When my Dad gave it back to me saying he wasn’t able to finish it I was intrigued. This book was this year’s Man Booker Prize winner – surely it must be fantastic, right? I had to find out for myself. “Lincoln in the Bardo” is the first novel by George Saunders and is part historical fiction, part magic realism. Based on the events surrounding the death of Willie, the young son of America’s 16th president Abraham Lincoln, the story takes place on the night of Willie’s funeral. Distraught by the death of his son, Abraham Lincoln visits the body in the crypt where Willie is interred. However, unbeknownst to his father, Willie’s spirit emerges that night to mingle with the other souls who have not been able to move on to the afterlife. The absolute first thing to say about this book is that it has an incredibly creative and refreshing narrative structure. The story is told by a chorus of voices, some of whom are ghosts encountered by Willie and some of whom are guests at the party thrown at the Lincoln’s house. The voices are sometimes complementary, sometimes contradictory and provide a multifaceted glimpse into the man that was Abraham Lincoln and Saunders’ concept of a limbo inhabited by ghosts who cannot move on. I found that the beginning of the story was very compelling. There was a particular scene where the guests were giving simultaneous yet contradictory descriptions of what the weather had been like that evening that I thought was a great comment on the fallibility of history and human memory. However, it’s difficult to sustain such novelty and momentum in a novel and I did feel as though the latter half was neither as strong or as structured as the former half. While I found the gossipy exploration of Lincoln’s presidency and family life fascinating, the concept of the bardo – the space between life and afterlife – seemed as though it grew muddier as the book progressed. There were several confusing concepts, such as Willie’s peculiar susceptibility to being consumed by vines made of shrunken tormented souls. Although adding a sense of urgency to the plot, some of these aspects of the intermediate state in which Willie finds himself don’t make a great deal of sense. Why would the fate of a child’s soul depend on the conduct of the other souls he is surrounded with in the cemetery where his body is left? For fantasy to allow the reader to effectively suspend disbelief, the author needs to set rules for their imagined world that are at least coherent, if not plausible. Saunders was making exceptions as fast as he was making the rules to his bardo otherworld and ultimately I found it hard to follow and therefore hard to immerse myself in. Other parts of the story, like the African American ghosts, seemed incidental and shoehorned in at the last minute. I think this is absolutely a wildly imaginative book and Saunders is definitely not short on creativity. However, as in my review of “The Brief and Frightening Reign of Phil”, I think he can sometimes be either too blunt or too abstract in his story-telling. Would I have given this the Man Booker Prize? I’m not sure. I’ll have to read some of the other contenders and compare.